Daily Wrap-up: May the (negative) force be with you! May the (negative) force be with you! Wednesday may have been a day of celebration for Star Wars fans but for investors it may have seemed like the Death Star was looming. World equities, oil, gold, the loonie; all lower, along with sentiment. Meanwhile Canada posted a record trade gap. Concerns over global growth - backed up by weak Chinese and Eurozone data; US data showing a larger than expected oil stockpile; and mixed fortunes in regional earnings – combined to bring a negative force to the markets. 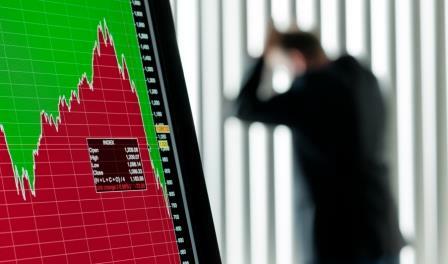 Asian, European and Wall Street indexes closed lower along with Toronto’s main index which dipped more than half a percentage point. Statistics Canada reported the latest figures on Canada’s imports and exports Wednesday; with the trade gap showing a record high. Exports in March were down 4.8 per cent to $41 billion with volumes down 2.9 per cent and prices down 2 per cent. Imports dropped 2.4 per cent to $44.4 billion with volumes down 0.3 per cent and prices down 2.1 per cent. Canada's merchandise trade deficit with the world widened from $2.5 billion in February to a record $3.4 billion in March. Canada’s oil firms are involved in a new crisis Wednesday as they reacted to the wildfires that have forced thousands from their homes in Alberta. The region’s energy firms have been supporting workers and their families and getting them to safety, while curbing or shutting down production. Although not necessarily at risk, many Alberta oil facilities are operating at reduced capacity to allow workers to attend to family matters.